Japan has named its first home-grown sumo grand champion in almost two decades, in a boost to the traditional wrestling sport, BBC reports. 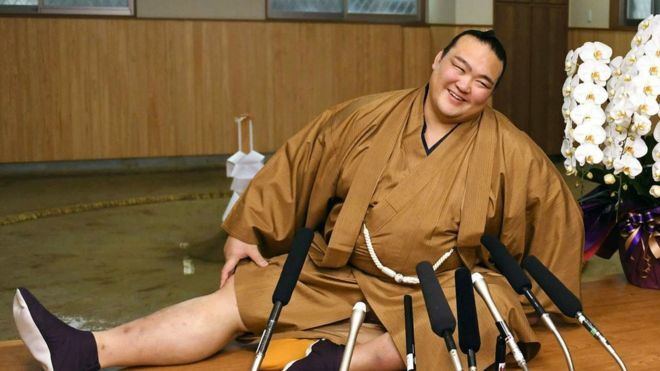 Kisenosato, 30, was promoted to the top-most yokozuna rank after his win in the first tournament of the year. He is the first Japanese-born wrestler to make it since Wakanohana in 1998. Five wrestlers from American Samoa and Mongolia have made it in the interim. Foreign wrestlers have come to dominate sumo, amid a lack of local recruits. Kisenosato, who comes from Ibaraki to the north of Tokyo, has been an ozeki - the second-highest rank - since 2012. After being runner-up on multiple occasions, he finally clinched his first tournament victory - and thereby his promotion to yokozuna - in the first competition of 2017. "I think it was the support I received that enabled me to come this far," he said in a tearful post-win interview on Sunday. "I desperately hung on at the end."